Welcome to the CTC Kettering website. 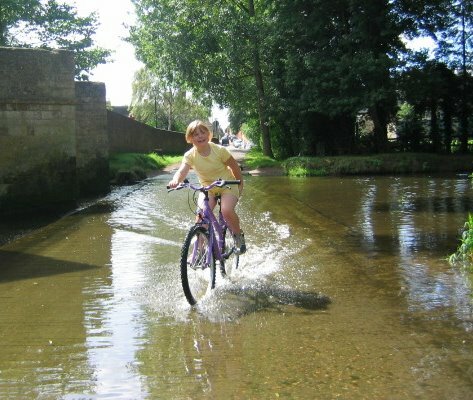 We are the local group of CTC, the national cycling charity, covering the area of Kettering, Corby and East Northamptonshire. We are now an Informal Group attached to the active group covering the Northampton area. (See our Links page for details or download their rides lists attached below). We are a small friendly group and we stage two rides every week, all day on Sunday and on Tuesday morning. Most rides simply involve meeting up for elevenses at a teashop rendezvous, although once a month in the summer months we are proposing that the Sunday ride should continue, if there are takers, to a lunchtime stop somewhere else. 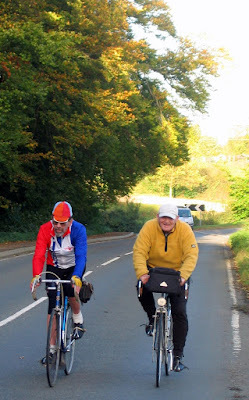 The events are promoted as touring rides under the banner of Kettering Cyclists' Touring Club and are quite easy paced and certainly not races. We aim to enjoy the countryside. Click above for our Programme of Rides. For details of our recommended refreshment places click here for a map showing Our Local Refreshment Places and scroll down to reveal those in Northamptonshire. You do not have to be a member to try a few of our rides. Please email secretary@ctckettering.org.uk who will provide you with more information. Our .Programme shows the basic details of what we do and where we go and that's why it's highlighted on this page. Click on the Picture Album above for a few photo images. More pictures are always welcome. See Kctc Market Place for sales, wants or giveaways (under development).